Blake and Krystle Carrington in the original Dynasty series on ABC. In a primetime television season that features a new version of MacGyver and a new take on the Lethal Weapon movie franchise, it is not surprising that several other reboots are in the works. On Saturday, 1980s primetime soap opera Dynasty was revealed as The CW's choice to join a growing list that includes Magnum P.I. (ABC), The Lost Boys (The CW), Varsity Blues (CMT), The Departed (Amazon), Let the Right One In (TNT) and L.A. Law (no network yet). The CW is teaming with The O.C. 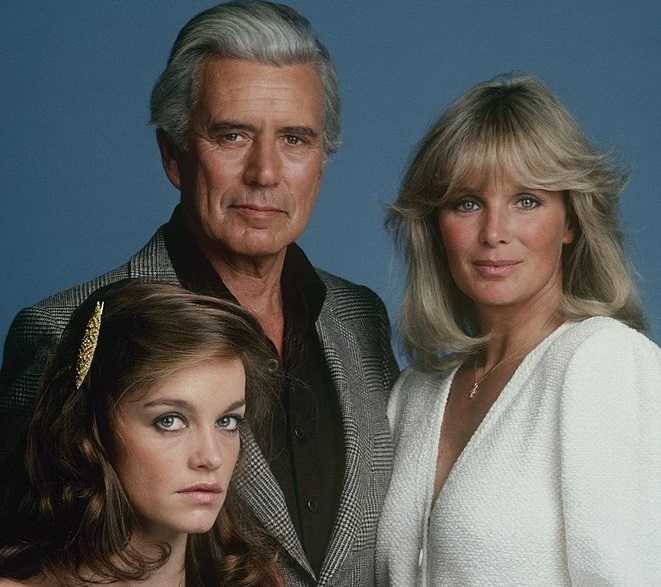 creators Josh Schwartz and Stephanie Savage to reboot Dynasty, reports The Hollywood Reporter. The drama, still in development, is based on the soap of the same name that aired for nine seasons on ABC and was created by Richard and Esther Shapiro and executive produced by Aaron Spelling. Both the Shapiros are attached to The CW reboot, which is being penned by Sallie Patrick (Limitless, Revenge), Schwartz and Savage. All three will serve as executive producers. The drama hails from CBS Television Studios and Schwartz and Savage's Fake Empire (The O.C., Gossip Girl). Fake Empire's Lis Rowinski will co-executive produce. Here's the logline: "The Rolls Royce of all primetime soaps, returns in a modernized reboot that follows two of America's wealthiest families, the Carringtons and the Colbys, as they feud for control over their fortune and their children. The series will be told primarily through the perspectives of two women at odds: Fallon Carrington — daughter of billionaire Blake Carrington — and her soon-to-be stepmother, Cristal — a Hispanic woman marrying into this WASP family and America’s most powerful class. In an age where dynasties appear everywhere — from reality TV to the polling booths — this epic drama features the one percent in all its glitz and gloss, while exposing the dark underbelly: a corrupt world built on backroom deals, betrayal, and, in some cases, murder." From 1981-1989, Dynasty was one of the most successful primetime series on TV. The show was ABC's response to CBS top-rated powerhouse Dallas, and soon challenged the CBS drama in the Nielsen ratings race. Set in Denver, Colorado, and following the Carrington family, Dynasty finished at No. 1 during the 1984-1985 primetime season. The cast was led by John Forsythe, Linda Evans and Joan Collins (who joined as Alexis after the first season). It is not known at this time whether the character of Alexis will be part of the new show. The revival comes five years after Esther Shapiro had been prepping a revival of the series that ultimately did not come to pass. The cast most recently reunited in 2015 for an appearance on Home & Family in which they shared memories and more. According to The Hollywood Reporter, reboots continue to "remain in high demand as broadcast, cable and streaming outlets look for proven IP [intellectual property] in a bid to cut through a cluttered scripted landscape that is quickly approaching 500 original series. Key to the remakes is having the original producers involved in some capacity as more studios look to monetize their existing film libraries." In case you missed it, check out last year's Dynasty reunion appearance in the clip below.